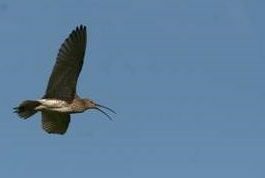 Select areas which each hold more than 5% of the Shropshire Curlew breeding population (estimated at 160 pairs in 2010), and together hold more than 50% of it. Support an existing Community Wildlife Group (CWG), or form a new one, in each selected area to locate the territories, and estimate the current population. As resources allow, and when the CWG has identified the nesting area of most pairs, employ a nest finder / qualified bird ringer to contact landowners, find and protect nests, monitor the outcome, and radio tag chicks, to establish the reasons for poor breeding success. Support may be provided to the nest finder for landowner liaison and / or maintain camera and electric fencing batteries, if appropriate. Depending on the number and location of Curlew territories found in each area, the availability of suitable nest finder/bird ringers, and available funding, this conservation work in some areas may be amalgamated to achieve operational efficiency and make the best use of scarce resources. In close co-operation with landowners and farmers, develop a realistic action plan specific to each area, reflecting local land management and opportunities, to counter the reasons for poor breeding success (insofar as that is possible at a local level). Implement this approach by phasing in the activity in each of the selected areas through a planned timetable. Recognising that many of the actions needed will require changes in countryside and land management, develop a county-wide action plan, including local requirements for new post Brexit agri-environment schemes, to influence Statutory and non-Governmental Organisations to bring about the necessary changes. Implement the action plan in each area, including the nest monitoring and population monitoring, for the 10 year initial period of the campaign, assess the effectiveness of each action plan and revise it as necessary, and keep the need for Curlew Conservation in the public eye. Liaise with other Curlew projects across the country, and develop the County strategy as appropriate, based on relevant research and best practice. Implementation of the Strategy will be overseen by the Shropshire Curlew Group (SCG), which includes representatives of the Statutory and non-Governmental Organisations that need to work together to bring about the necessary changes. The Group’s Terms of Reference can be found here. A map showing the Curlew Distribution map found by the 2008-13 County Bird Atlas, and the current CWGs, can be found here. The areas of the seven existing CWGs have been selected, together with two proposed new areas (Oswestry Hills south, and Severn-Vyrnwy Confluence) where CWGs should be initiated in 2018. The area covered by the Upper Onny Wildlife Group since 2004, and by the Stiperstones Corndon Landscape Partnership Scheme (LPS) and by two new community Wildlife Groups (CWGs) in Rea Valley and the Camlad Valley since 2014, has the most experience in population and nest monitoring, and holds more than 25% of the County Curlew breeding population. 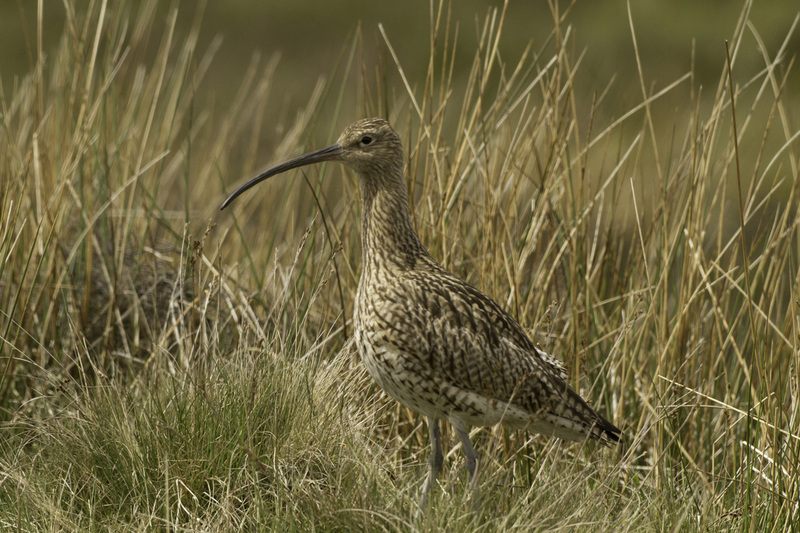 LPS intends that Curlew Country should continue as a “legacy project” in its own right, and much will depend on whether funding and a host organisation can be found for it. The National Trust and Natural England are working on the submission of a “Stepping Stones” project to HLF, which potentially could lead and co-ordinate the future development of the overall approach in that area, starting in 2019 at the earliest. A large part of the Overall Approach is to “roll out” the activities developed in that area across the County as a whole. The area monitored by UOWG since 2004, and CWGs numbered 4 and 5 on the map, together with the LPS Curlew project since 2014, are well down the approach outlined above, and are working towards level 5 in the “Overall Approach” above. The Upper Clun and Clee Hill CWGs have been monitoring Curlews for several years, and have a good knowledge of Curlew territories in their respective areas, and (subject to funding) a nest finder should be employed in each of these two areas in 2018, followed by the development of the local action plan in subsequent years. Similarly, consideration should be given in the autumn of 2018 to employing a nest finder to start the process in the Strettons Area and Three Parishes area in 2019, depending on the results of the CWG surveys in 2017 and 2018. Consideration should then be given in the autumn of 2019 to employing a nest finder in the Oswestry Hills south, and Severn-Vyrnwy Confluence, areas in 2019, depending on the results of the CWG surveys in 2018 and 2019. Staff at Fenn’s – Whixall NNR should be invited to propose a timetable for their area. SWT and SOS are launching an appeal in November 2017 to fund the implementation of the Outline Strategy across the County. SWT will co-ordinate the work of the SCG, hold the funds, and, if and when appropriate, employ a project co-ordinator. This will be overseen by SCG. Experience has shown that it might be necessary to contract with assistants to support the nest finders by liaising with landowners in each area before and during the nesting season, and by maintaining the camera and electric fence batteries. This will be discussed with the nest finder in each area once they have been recruited / appointed. Hopefully the Stepping Stones project will raise sufficient funds to develop and implement the Action Plan in their area from 2019 onwards, but if necessary supporting the nest finding and protection, and chick monitoring, there will be the highest priority for use of funds raised by the SWT/SOS Appeal. Any funding provided for work in this area in 2018 will be need to be justified in terms of need and value for money, and will be subject to agreement between partners on priorities, transparency, information sharing and accountability, taking into account the need to implement the strategy in other parts of the County as well. Any funds raised by Stepping Stones can be used as match funding by SWT in securing funding for the SWT / SOS County wide “Save our Curlews” campaign. Long-term support for existing and new CWGs will also need to be considered, as currently this is over-dependent on one individual. If the nest finder wants it, landowner / farmer liaison (say 2 days / nest in year 1, 1 day / nest in year 2 onwards) and someone to maintain camera and fence batteries. The project is a substantial undertaking, with provisional planned expenditure building up to around £45,000pa in the SSP area, and £105,000pa in the remainder of the County, each year. In addition to the SWT / SOS joint appeal, SWT will make applications to Charitable Trusts and other funding bodies to raise the necessary funds to implement the strategy.